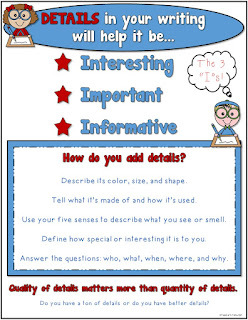 Free “Show Me” Boards are great during your small group time. 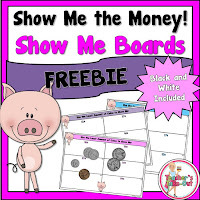 These boards will give you a quick view of who is understanding how to count coins and who is not. 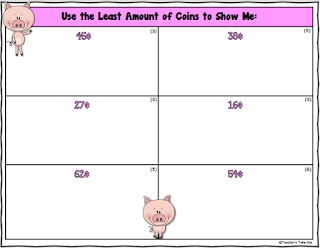 Give each student a Show Me the Money Board and some classroom or real coins. 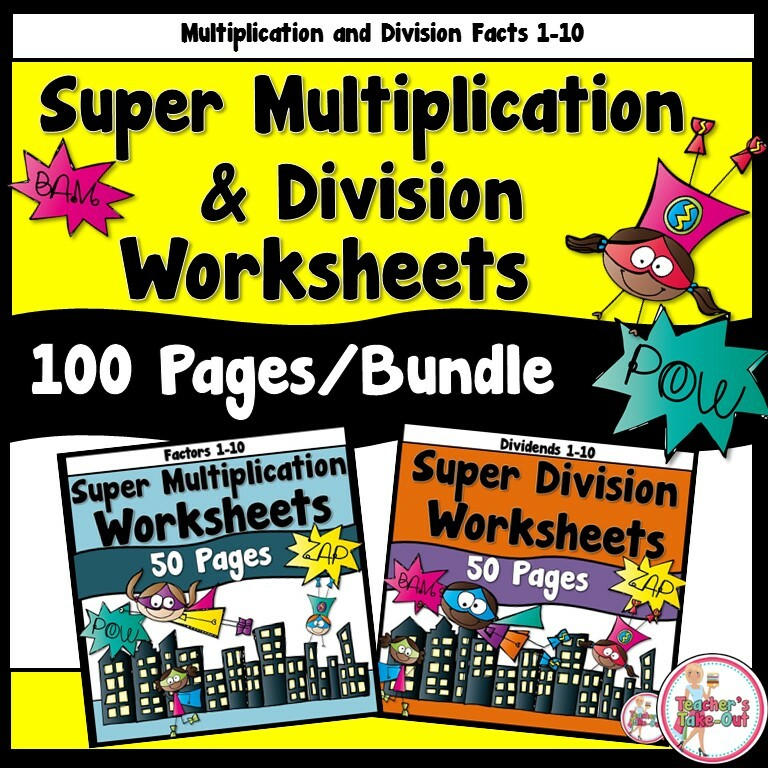 Instruct the students to show you the amount of money indicated in each box using the coins. 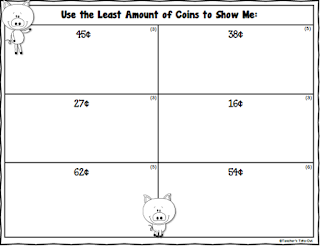 Students should use the least amount of coins to show the amount of money in each box. 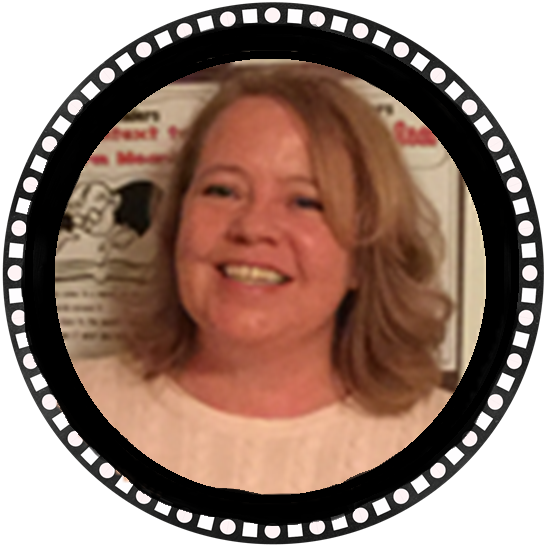 The small number in parentheses tells the number of coins that are needed. 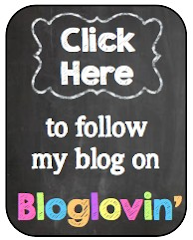 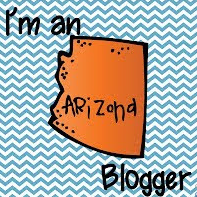 Just click the picture to download this freebie! 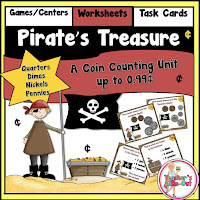 If you like the "Show Me" boards, the Pirate Treasure's Coin Counting Unit has these boards in a pirate theme. 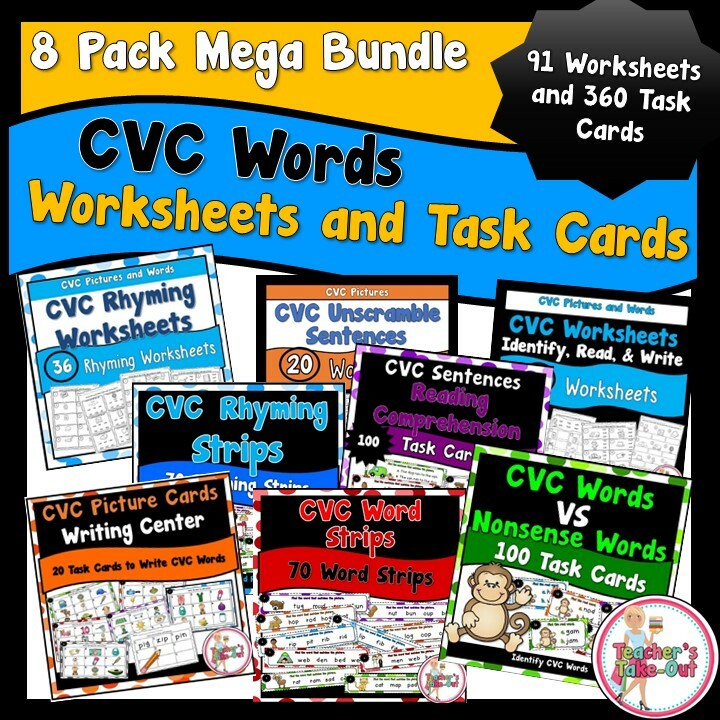 This pack is loaded with ideas for learning and practicing to count coins. 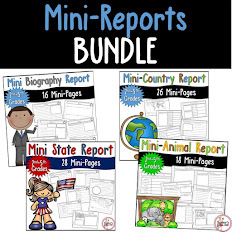 The coins in the pack include: quarters, dimes, nickels, and pennies.